Tuscany. I say the word and I instantly see the golden hue of sunflower fields and pale green grape wines. They meticulously line in rows, inevitably framing a stone farmhouse, Renaissance tower, or a decorative church. Equally, I imagine the long gravel roads, leading to villas and vineyards, romantically decorated with soaring cypress trees. A combination of natural and man-made wonder, Tuscany is both a feast for your eyes and appetite. The region is known for masterfully producing red, white, and dessert wines with world-renowned food that can accompany each glass. So, how can you experience this real-life fantasy? You do your homework and plan to visit only the best wineries in Tuscany. Modern day wine culture in Tuscany can’t be explained without first knowing where it started. It can be traced back as far as the fifth century BC and begins with the Etruscans. One thought is that they brought their own vines from Asia when they settled in today’s Tuscany. An opposing belief is that the countryside was already heavily sprinkled with wild grapes long before the Etruscans arrived. Either way, they are credited with domesticating and cultivating the grapes that grew into today’s elite Sangiovese and Lambrusco varieties. This region of Tuscany was eventually included in a larger region called Enotris, “the land of the wine”. The production within the region flourished. In 1710 the first flask of local wine crossed the Tuscan borders. Naturally, it was met with success and the market skyrocketed. Unfortunately, WWII devastated the area and many farmers deserted their property in search of finding a better and safer life elsewhere. Like in many situations, out of adversity comes advancement. In the 1960’s the first law protecting wines and their production was passed. This meant that farmers and producers were now able to refocus their efforts on producing quality wine. Vernaccia and Chianti were the first wines to receive the DOC (Denominazione di Origine Controllata) label, the second highest rating for wine. Only 20 years after passing the law, production was cut in half and we saw a dramatic increase in the quality. Refocusing on the importance of maintaining their crop and production process has led to a worldwide reputation for excellence that shows no sign of slowing down. The climate is an essential factor in the outcome of the grapes. Overall, Tuscany is described as having a Mediterranean climate. Increased diurnal temperatures paired with the drop of nocturnal temperatures help to maintain the grapes’ balance of sugars, acidity, and aromatics. In short, the region never gets too wet or dry, and never too hot or cold. That equilibrium is essential, and when the spectrum tilts in one direction, it could be problematic for the crops, therefore also for the farmers and us (gasp!). Now it’s time to dive deep into a pool of Sangiovese. A girl can dream, right? With so many rolling hills of lined grapes calling your name, taunting you with a perfectly aged glass of red (or white) how do you choose between the best and the rest? It can become a bit like a game of “Where’s Waldo?” I’m all for fun and games but when the prize is a masterfully produced glass of wine with the Tuscan hills as my backdrop, I’m all business. Some of the best towns to visit include Bolgheri, Chianti, Montalcino, Montepulciano and San Gimignano. The suggested regions above, combined with the remaining parts of Tuscany, cover 23,000 square kilometers, or 8,880 square miles for all my fellow American’s out there. It’s not a five-minute sipping, but an immersive experience that takes you through the history of the region. Tuscany is like a bottle of wine itself—masterfully created, lovingly aged, and the longer you spend experiencing it, the richer it becomes. The clean and crisp air surrounds the rolling hills while the ancient towns provide the perfect frame for the sunflowers and crops, let alone the ideal excursion back in time to the Renaissance with most towns remaining unchanged. Traveling with family? This is an outdoor experience, with endless space to run around and allow your little ones to be as free as they want. 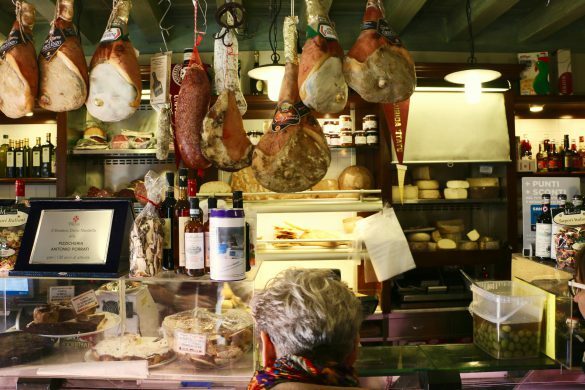 Tuscany, in all its glory, offers something for everyone. Start your adventure with a luxury pickup from your hotel in Florence. You’ll see organic farmhouses and how they grow all their products, finally taste the famous Sangiovese that you’ve been hearing so much about, frolic in the Tuscan fields, and even explore one of those unchanged Renaissance towns. Obviously while enjoying some gelato! Get ready for a wine nap when your driver drops you off at your hotel. 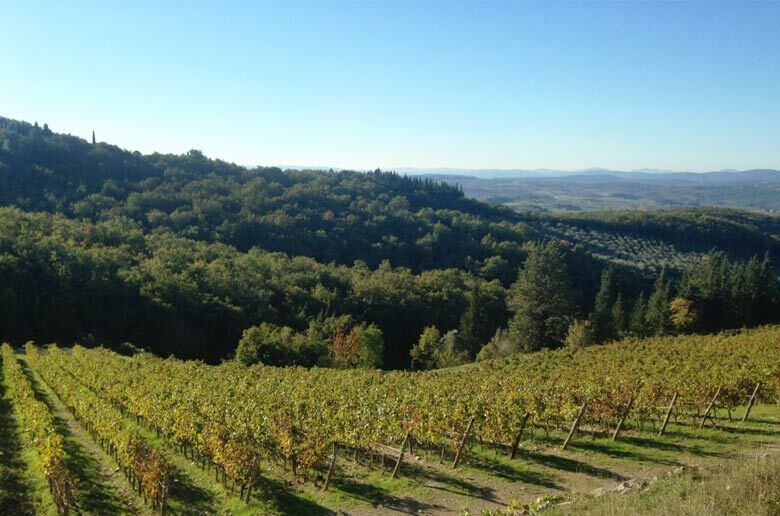 Find out more about the Wine Day in Chianti Hills experience now! A whole day dedicated to Brunello? Oh. My. Stars. Start your day right with a luxury driver meeting you at your hotel. Thereupon you’ll visit organic farmers showing you their methods and local produce. Following this, you’ll enjoy a wine tasting and lunch with a million-dollar view in one of our favorite restaurants. 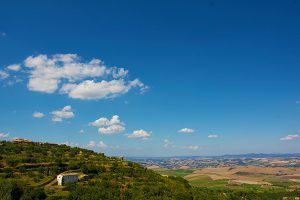 Walk it off in Montalcino before driving through the countryside to one of the region’s most famous vineyards for another wine tasting. Say goodbye to your driver at your hotel door and get cozy for a wine nap. Click through for full details on this amazing wine day trip to Brunello di Montalcino. After you are picked up from your hotel, you’ll make your way past vineyards (for now) and head straight to an organic farm tour in the Tuscan valley. It’s time for your little travelers to stretch and run about! After, enjoy a homemade organic lunch and wine tasting. Before you visit a local vineyard you’ll stop at the fairytale town of Montalcino. Interested? 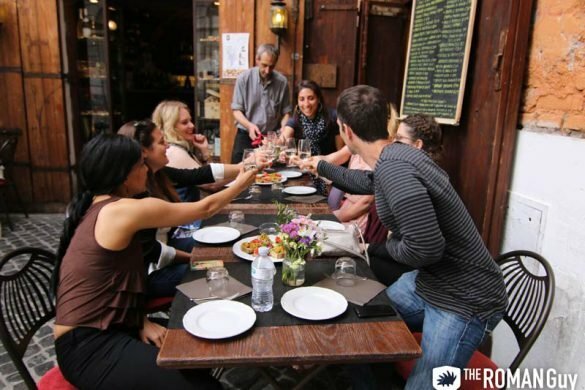 Find out more about this family-friendly wine day in Tuscany! Coming into Italy via ship? We’ll pick you up directly from the port of Livorno and take you through the countryside to San Gimignano. Not only will you taste the world-famous gelato but also see the Renaissance towers. After, treat your taste buds to an organic farmhouse tasting lunch while you chat with the locals while feeding your soul on the fruits of their labor. Your day will be filled with different tastings, all with the rolling hills and the region’s signature green color as your backdrop. Did I mention there’s a second stop for more food? 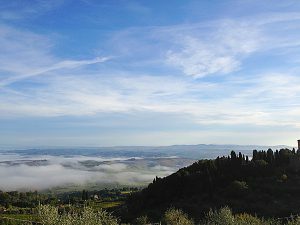 Full details on the Chianti Wine Country & San Gimignano experience. Did you visit any wineries in Tuscany? Let us know! Follow along on our adventures and share your memories with us on Facebook, Twitter, Instagram, and YouTube! 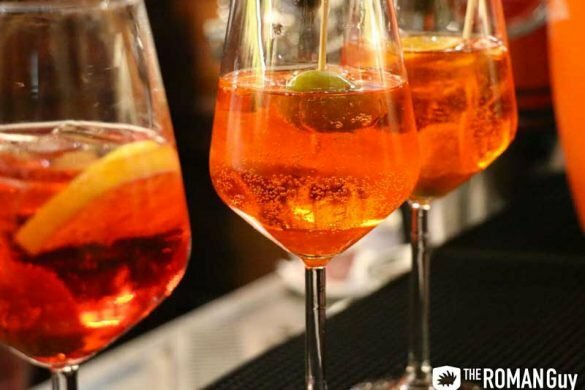 Up next: Read about our hidden gems in Florence and see what an Italian wine festival is really like.